Virginia studied at culinary school and is a trained chef. 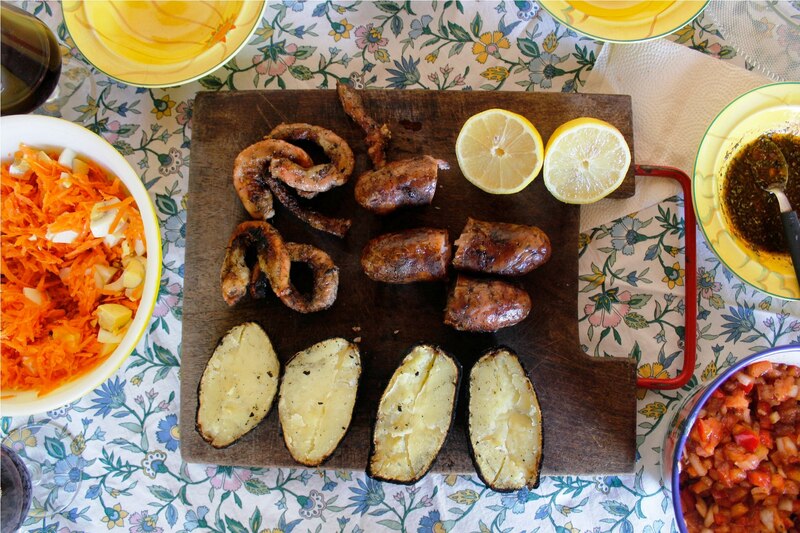 While her husband, Lucas comes from a big Portuguese family and cooking in large quantities has always been a family tradition. 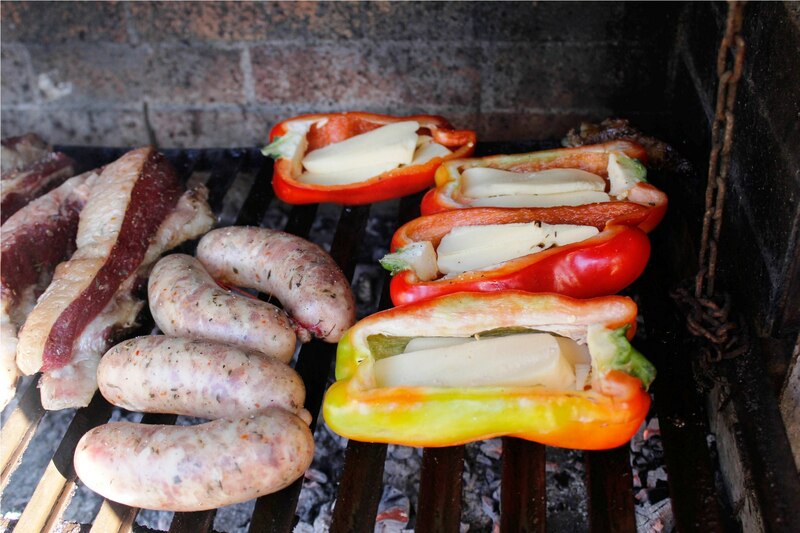 They love cooking together, especially traditional asados (Argentinean barbecue) for friends and family. 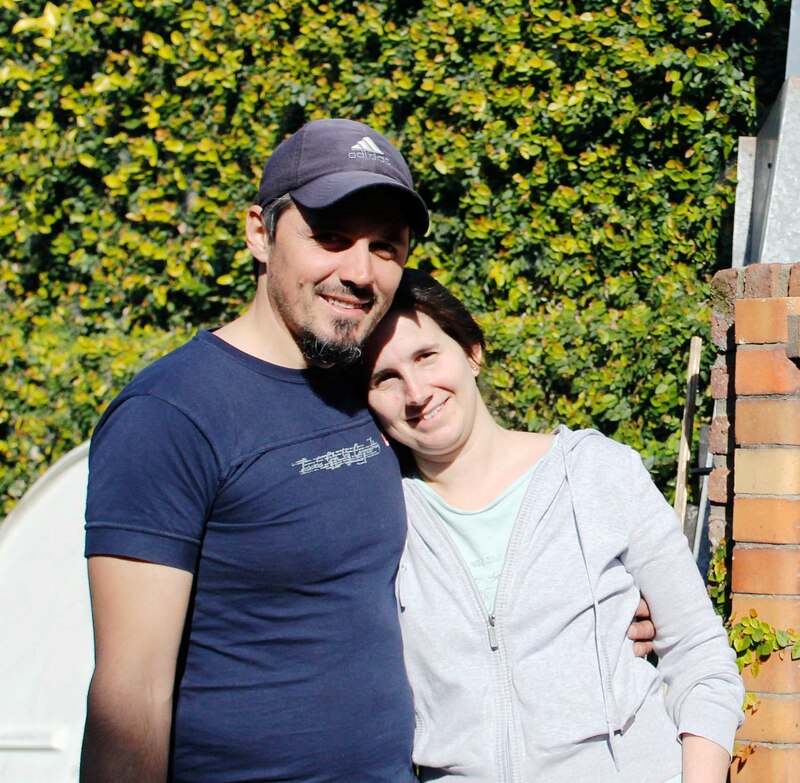 Virginia has also worked at a winery store and has good knowledge about Argentinean wine. Currently, she is studying to become a breastfeeding consultant and gives talks and courses on first foods for kids and how to prevent food eating illness. 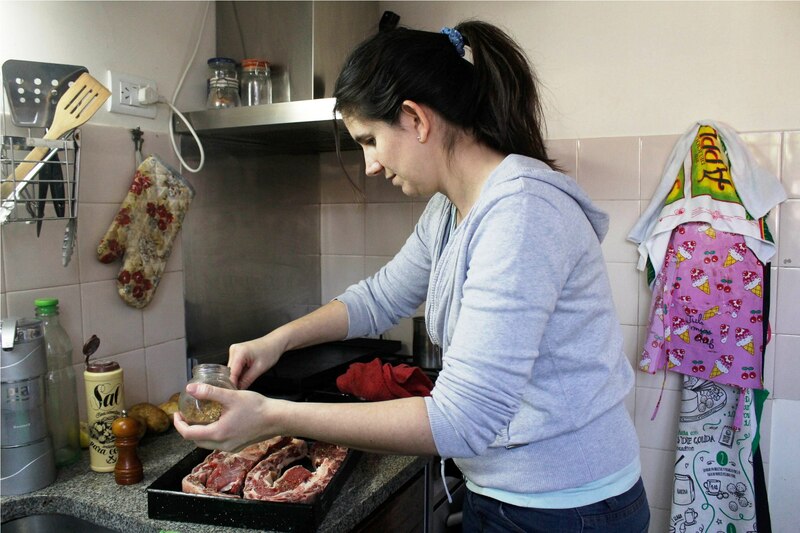 They also love traveling around Argentina, learning about local products and recipes! Virginia also speaks a little french! 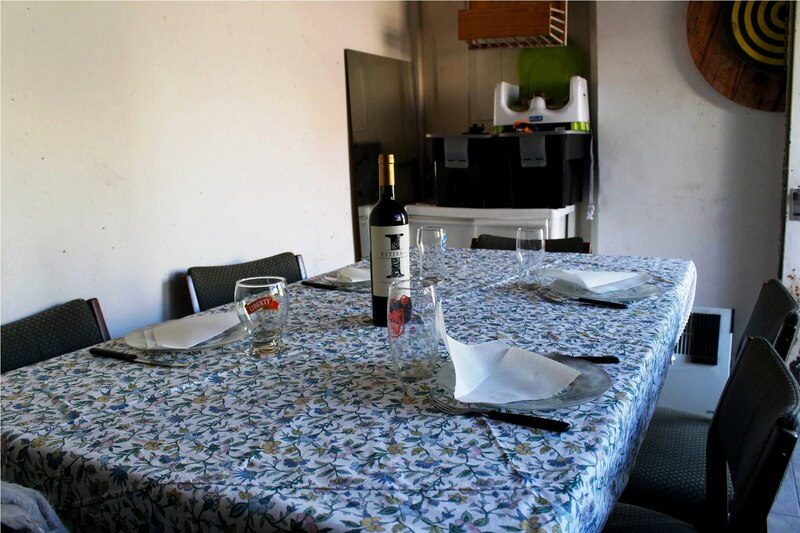 In-home meal: (1-5 guests) Virginia, Lucas and their two well trained dogs will welcome you to their simple, modest home with a warm smile, mate and soft music playing in the background. Lucas does not speak English so Virginia will help translate. 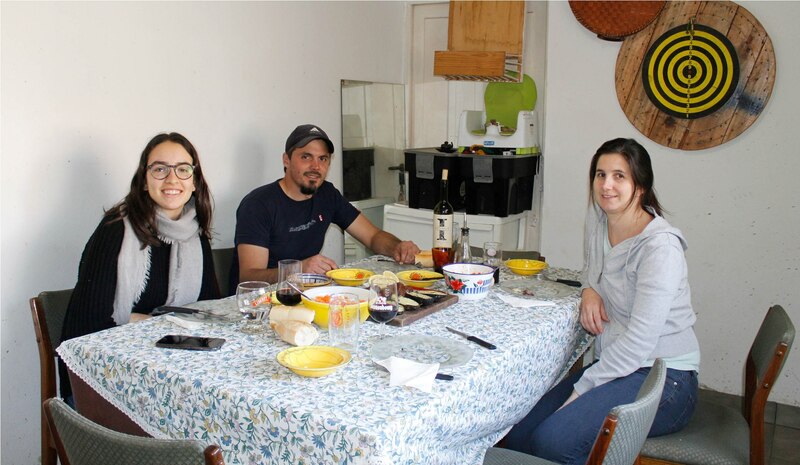 They will share more about Argentina’s history and culture before sitting down at the dining table to share an authentic homemade meal. The menu may include dishes such as picada (a platter of different kinds of meat and cheese), asado or disco and alfajores, rogel cake or panqueques de dulce de leche. Cooking experience: (1-5 guests) Join Virginia in her kitchen for a hands-on cooking class, where you will learn to make 2-3 dishes from scratch. 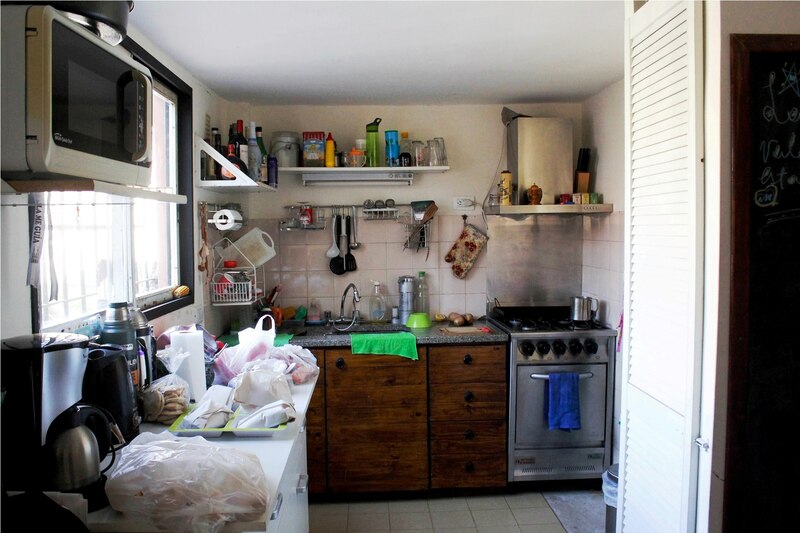 The kitchen is small so you will use the dining table for most of the prep work. 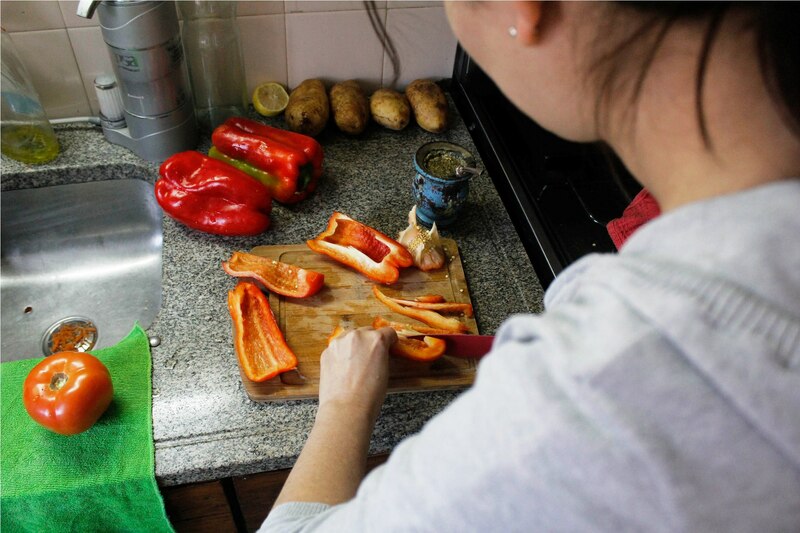 In your 1-2 hour class learn to make pollo al disco (chicken and various vegetables cooked as a stew), criolla sauce (an Argentinian salad typically used to accompany meat) and chimichurri (typical Argentinian sauce filled red peppers, alfajores) or panqueques. Market visit: (1-5 guests) Virginia will take you to some local shops to buy meat, vegetables and cheese for your cooking class. After you meet Virginia at the train station, she will drive you to the butchers shop to buy meat, then the greengrocer to buy vegetables and lastly you will visit the fiambreria to buy cheese, salami and sweet potato jam. This is where the locals shop! You will get to see how Virginia interacts with the vendors and can also observe how locals shop for daily grocery items, before going to Virginia's home for your cooking class and meal. 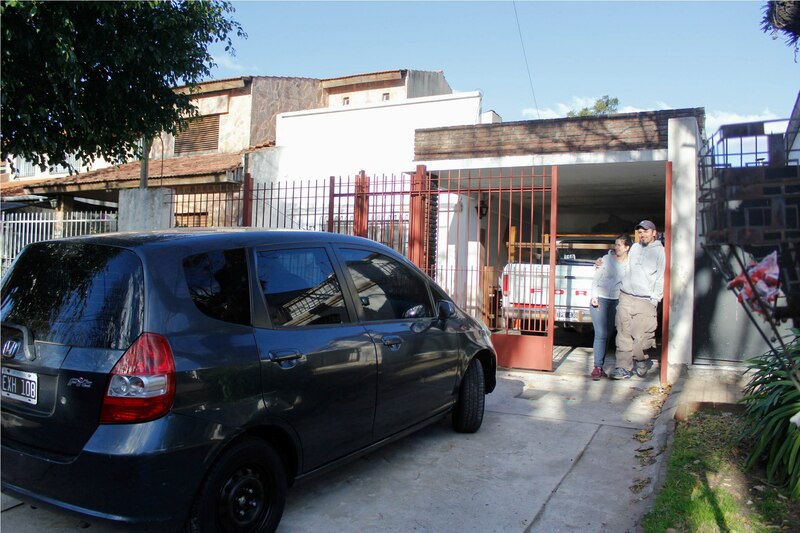 Notes: Pick up from and drop back to San Isidro station is included in the price. Virginia can also offer vegetarian meals on request. Main course: Asaso (meat such as tira de asado, chorizo, morcilla, chinchulines plus filled red peppers and potatoes+chimichurri ans criolla sauce) or chicken disco (is served with vegetables) or lentil stew. 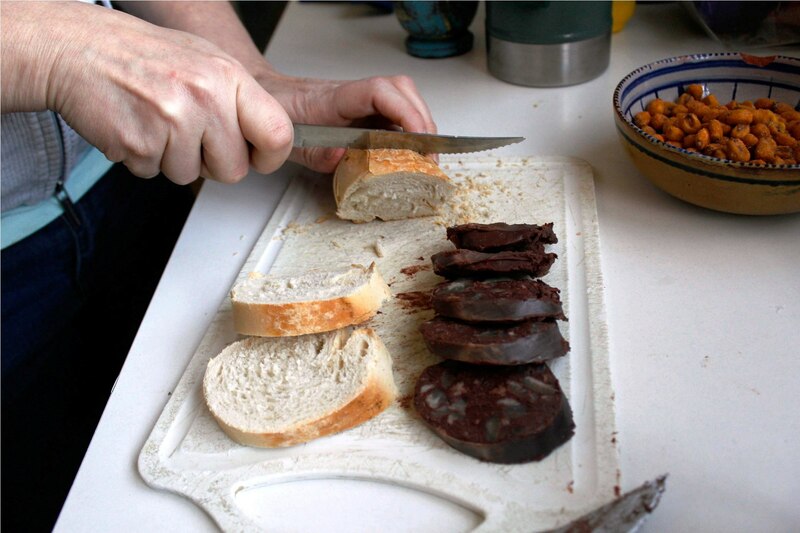 Desert: sweet potatoe jam with cheese and homemade alfajores or panqueuqes with dulce de leche.. When we arrived Virginia and Lucas were listening to music and they received us with a lovely, warm smile. Virginia and Lucas love cooking together and they are a great team! 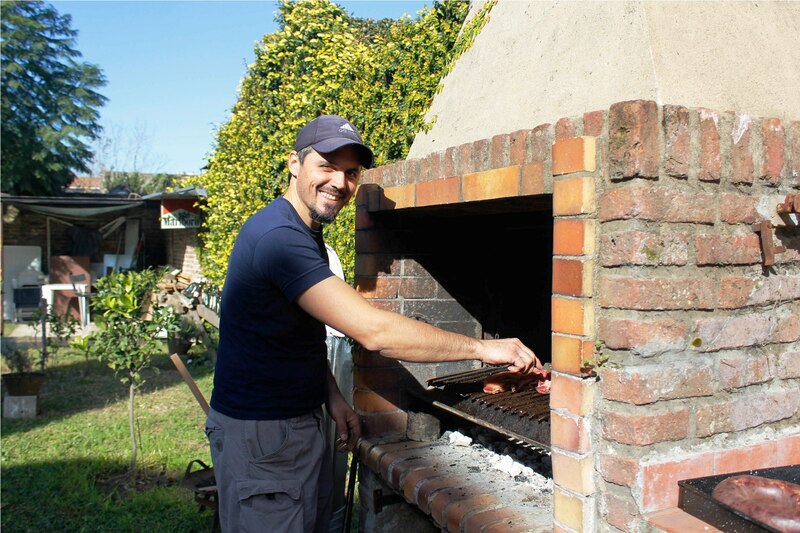 The asado was fantastic and even though the menu was simple, it really showed and expressed Argentinean culture. Lucas may seem a little bit shy that’s because he doesn’t speak English or understand it, but he will do his best to have a conversation and to adapt. On the other hand it was really interesting getting to know Virginia’s point of view about different topics. If you like dogs, you will love theirs, they have two well trained dogs. What I loved about the experience is their passion to cook together and they were great hosts!